In many states, laws prohibit the use of a mobile phone while driving, but there are also many things that can divert your attention about the most important thing, the driving. 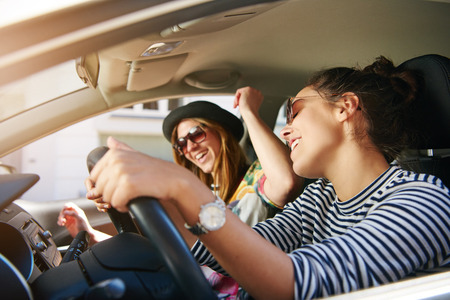 Whether you find the driving fun or tiresome, you have probably developed more habits to entertain yourselves while driving. For example, singing or talking to yourselves – almost everything are guilty of doing so. Sometimes when anger takes over the place, you find yourselves crying to another driver who is unlikely to hear this. And often it happens that you talk to yourselves. Regardless of whether something funny happened before or you made driving mistake, some of the best conversations are in your car, with you. When you are at a traffic light, the first thing to look at the people around you. You decide who they are, where are they going and what their story is until the light turns green. This sounds rough, but every third man drill his nose while driving, and statistics are similar for women as well. But attention – if you think no one sees this, you are wrong, the drivers are likely to notice it. You’re in a new place and you need to find the right house, so you turn off the music to see the house well, do not? This is a crazy method that many drivers are using, even in the days of Google Maps. Are people watching the speed of wipers? Did the other driver look bad at me? Did I leave the oven turned on at home? Even the best drivers are likely spend more time with examining their own driving habits and worrying about things they can’t control. 9 of 10 people admit that they are singing while driving. Whether your favorite pop number is on the radio, or you sing in original performance, the first seat of the car is the best place. Everybody is guilty – you do millions of different things while driving, instead of focusing on the road, but this is a multitasking generation, is not it? It’s no worse than you grab your eyes with your favorite mascara or smear your lipstick and finally look like Joker. Sometimes driving is one of the best ways to make a funny snap. And of course there are car selfies. You want to believe that you are invincible, but you have to stop it. It is forbidden in many state. Do not do it, as if you did not dance when your favorite music sounded! We scream if on every radio there is advert. When you suddenly leap somewhere and have no idea where you came from. Of course, you never find it, so you’re pulling down the window.